The S-Cross concept previews a crossover that Suzuki will sell in Europe. Suzuki will consider a partner for its new European compact crossover, a company executive said. 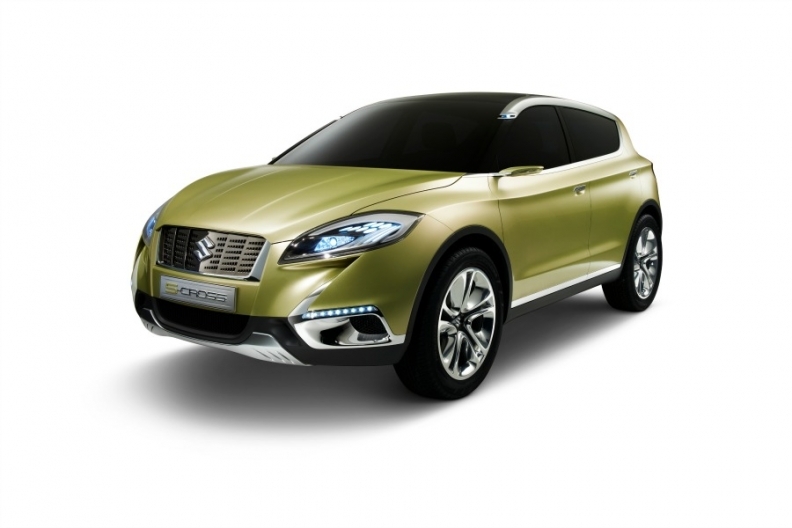 The Japanese automaker previewed the model with the S-Cross concept unveiled at the Paris auto show on Thursday. The car will go on sale in Europe at the end of next year as a rival to crossovers such as the Nissan Qashqai. "It's pure Suzuki, but we're open to a partnership going forward," UK sales and marketing director Dale Wyatt told Automotive News Europe. Wyatt said the new crossover would maximize Suzuki's strengths of price and sportiness. "We recognize we're value for money. We think we can offer a good-looking emotional product for a compact price point – that's a nice sweet spot for us," he said. The new car will be offered with four- and two-wheel drive. Suzuki has licensed the use of the 1.6-liter diesel engine from Fiat, which is expected to power the vehicle. "It's important for us is that it's very low CO2 emissions and very high practicality," said Wyatt. The car was designed for Europe, which will account for 80 percent of its sales, according to the company. The production S-Cross will be built in Suzuki's factory in Hungary. The plant builds the smaller SX4 crossover and its sister model, the Fiat Sedici. Suzuki said no decision had been made on the future of the SX4, which was launched in 2006. Fiat has cancelled its partnership with Suzuki for its version and will build the Sedici replacement in Italy alongside a new small Jeep for Chrysler Group. Suzuki global car marketing director Kenichi Ayukawa said at the S-Cross launch that the company plans to increase its European sales to pre-crash levels of over 300,000 a year "in a short time." According to Suzuki, the automaker sold 234,000 cars in Europe last year. "Market conditions in Europe are still challenging," Ayukawa said. "However we are confident we will make good progress again."